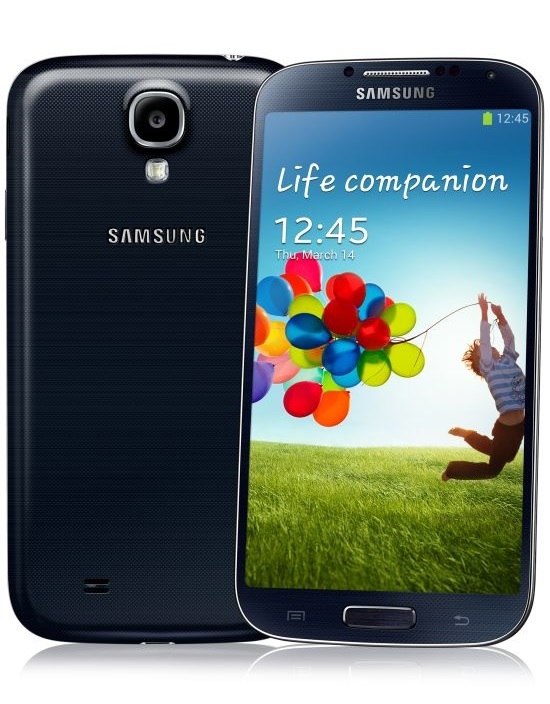 Samsung launched its flagship smartphone galaxy S4 in india today. The smartphone will be available at Rs. 41,500 at samsung’s eStore from today. The Samsung Galaxy S4 was announced in March which features Samsung Exynos 5 Octa processor, 2GB of RAM, a 4.99-inch super AMOLED full HD (1920 x 1080) resolution display with pixel density of 441 ppi. The Galaxy S4 packs 13-megapixel camera in the rear and 2-megapixel in the front. The rear camera can shot 100 pictures in 4 sec. The S4 has WLAN 802.11ac, Bluetooth 4.0, NFC and The smartphone powered by at 2600 mAh battery. The smartphone will be available in 16, 32 and 64 GB versions. The phone runs Android 4.2 Jelly Bean. Samsung is providing Rs. 12,000 worth content free with the smartphone. The smartphone will be available in two colours – Frost White and Black Mist. 5-inch full HD Super AMOLED (1920 x 1080) display (441 ppi) Gorilla Glass 3. 13-megapixel primary camera with LED flash capable of 1080p video recording.